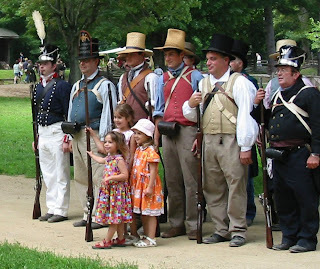 STURBRIDGE, MA (May 24, 2011) – Old Sturbridge Village will celebrate the contributions of “citizen soldiers” during Muster Day on Saturday, June 11 by rec-creating the semi-annual training of 19th-century militias. The day will feature marching and drilling demonstrations, military music, and special appearances by the 1812 Marine Detachment from the U.S.S. Constitution, the Oxford Light Infantry, and the Sturbridge Militia. Active military personnel get 50 percent off their admission and members of their party receive a 25-perecent discount. For more information, call 1-800-SEE-1830 or visit www.osv.org. In the early 19th century, groups like the 1812 Marine Detachment, based on at the U.S.S. Constitution, often traveled from Boston to locations throughout Massachusetts looking for recruits. The Oxford Light Infantry is typical of an early volunteer militia company that drilled together regularly and had matching uniforms. They stood in stark contrast to less organized citizen soldiers, or “enrolled companies,” as portrayed by the Sturbridge Militia, which were made up of all men in a community between 18 and 45 years old. These citizen soldiers met only once or twice a year and were considered to be far better citizens than soldiers. 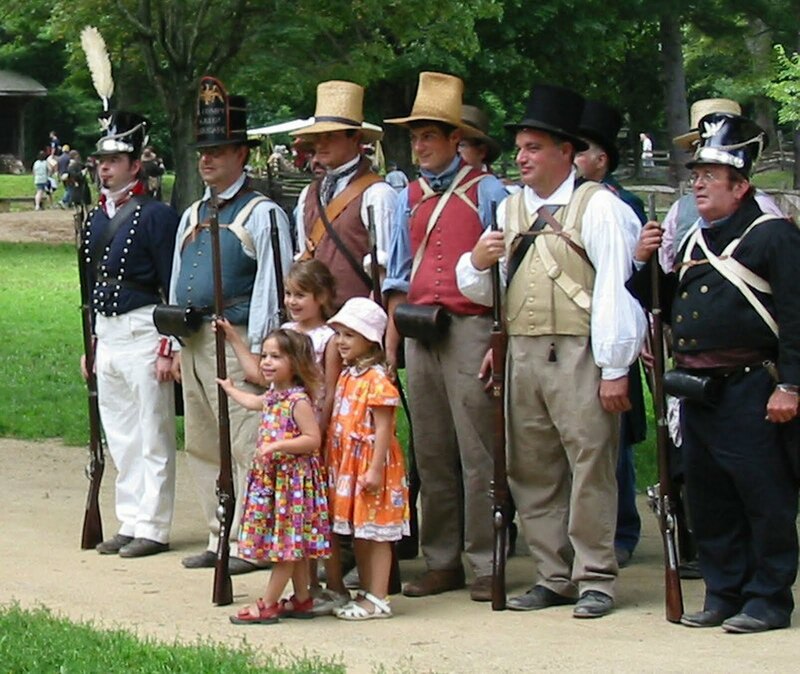 All three military groups will lead drilling and musket-firing demonstrations. They will hold “sham fights” or mock battles, and target practice. Fife and drum players will play martial music and discuss the importance of music to military operations. In the 1830s the "Fifteen Gallon Law" was enacted in Massachusetts, making it illegal to sell alcohol by the drink. To circumvent the law, an entrepreneur in Dedham, MA erected a tent, painted stripes on a common pig and charged 6 1/4 cents to see the "Wonderful Striped Pig." Customers were then given a free glass of rum, by-passing the law. OSV will re-create the event on the Common, substituting lemonade for the rum.